Data released by the National Highway Traffic Safety Administration Oct. 3 indicates highway fatalities declined overall in 2017 after two consecutive years of large increases, with preliminary estimates for the first six months of 2018 indicating that the “downward trend” in fatalities is continuing – even as the number of vehicle miles travelled or VMT continues to rise. 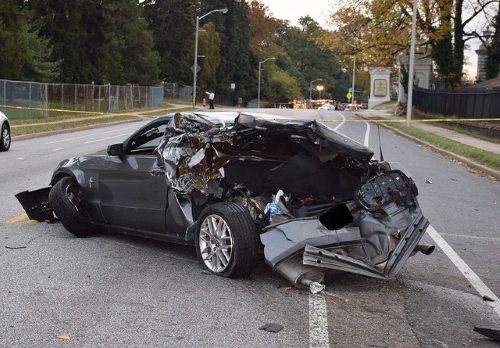 According to NHTSA’s data, 37,133 people died in motor vehicle crashes in 2017, which is 673 fewer deaths compared to 2016 – translating to 1.8 percent year-over-year decrease in fatalities. That also compares to a 6.5 percent increase in fatalities from 2015 to 2016 and an 8.4 percent increase in deaths from 2014 and 2015, the agency noted. The decline in fatalities is also occurring as road travel by Americans continues to increase. NHTSA said that, according to Federal Highway Administration data, VMT increased by 1.2 percent from 2016 to 2017. As a result, the fatality rate per 100 million VMT decreased by 2.5 percent year-over-year, the agency said; falling from 1.19 in 2016 to 1.16 in 2017. NHTSA noted that 2017 highway fatalities declined in several key areas: Speeding-related fatalities dropped 5.6 percent; bicyclist deaths decreased 8.1 percent; and pedestrian fatalities dipped 1.7 percent. Yet the agency added that highway fatalities in 2017 jumped significantly in the sport utility vehicle or SUV category and commercial trucking sector. Fatalities among SUV occupants climbed 3 percent, and deaths in crashes involving tractor-trailer jumped 5.8 percent. However, NHTSA added that the overall downward trend in highway deaths has continued through the first half of 2018. The agency said a “statistical projection” of traffic fatalities for the first six months of this year estimates that 17,120 people died in motor vehicle traffic crashes; a decrease of about 3.1 percent as compared to the 17,664 fatalities reported during the first half of 2017. And that decline is occurring even as VMT keeps increasing, NHTSA pointed out, as it said FHWA data showed VMT during the first six months of 2018 climbed to about 5.2 billion miles, or 0.3 percent increase versus the VMT recorded during the same period of 2017. Michigan US-23 Flex Route, evening commute. That means the fatality rate continues to drop, NHTSA said; falling to 1.08 fatalities per 100 million VMT for the first six months of 2018 versus 1.12 fatalities per 100 million VMT in the first half of 2017. The agency also noted another trend: that the number of urban highway fatalities eclipsed rural highway deaths in 2016 and 2017. In 2015 and earlier, rural fatalities outnumbered urban fatalities, NHTSA noted, and suggested populations shifts may be one reason driving that change. The agency said that U.S. Census Bureau data indicates that the nation’s urban population increased by 12.7 percent from 2007 to 2016, while its rural population decreased by 11.8 percent, with urban highway fatalities rising by 17.4 percent over the last decade and rural fatalities dropping by 18 percent.